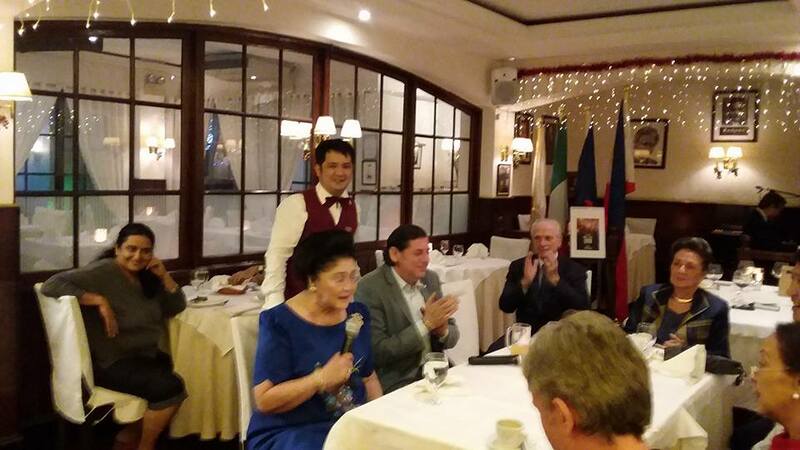 IMELDA MARCOS AT CARUSO RISTORANTE ITALIANO! Former First Lady and now Honorable Representative Imelda Marcos had a fun time over great food and amazing music! Hon. Imelda Marcos with Owner Emilio Mina and friends. Book a table now and visit us!